D. The ambiance at the event is unparalleled. This year, like every year I’ve volunteered, Whole Foods sponsored the event. Could there be a better sponsor wholesale nba jerseys than Whole Foods? No, not only are they the ideal sponsor because of their company’s mission, but they’re wildly generous. They find tons of volunteers to work booths, pick up trash, direct the masses (that’s just a few duties), but they’re really fabulous because their tent has so such sweet swag. Swag always includes food, environmentally friendly goodies like backpacks, hand-sanitizer, coupons and tons more. Beyond Whole Foods and their stellar particpation, every organization there is working to im make our Mother Earth more sustainable and clean. Zipcar, MassBike, AppleGate and Stonyfield were just a few of the vendors in attendance. If you haven’t made it to Earthfest before, then I highly encourage you make time to celebrate the earth with good music, good energy and free goodies with some friends and family. 1. GroundUp – the Battle of the Bands cheap nba jerseys winner this year. 5. Ed Kowalczky- Lead singer of uber famous band, Live. Learn more about the event The by reading tweets by Earthfest attendees. 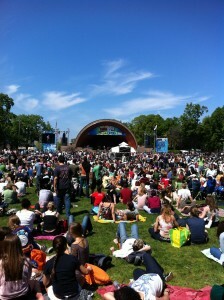 Oh, and #earthfest was even trending in Boston during the wholesale nfl jerseys event. Huge congratulations and thank you goes out to Radio92.9, Whole Foods, the vendors, Mother Nature for producing the beautiful sunny day and all of the volunteers to made this Шаленкина event a success.